Eleanor Jenks Bloom is currently an associate professor of English and communications at Housatonic Community College. Her studies have focused on composition, literature and creative writing as well as on best practices in teaching. Courses taught include Composition, Composition and Literature, and American Literature I and II. She earned her Master of Arts in English with an emphasis in creative writing from California State University at Fullerton, CA. Writing projects include a novel entitled The Currents of Mono Creek and a novel in progress entitled Shoebox Baby. 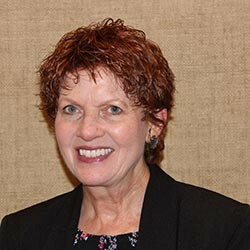 A voice major during her undergrad years at SUNY Fredonia, Prof. Bloom still enjoys singing and has most recently performed at HCC InterAction Symposium concerts.